This article is 423 days old. 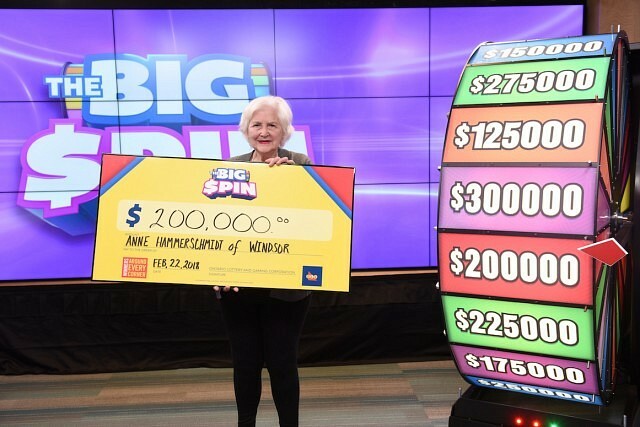 Anne Hammerschmidt spun the big wheel at the OLG prize center in Toronto and won herself $200,000. The winning ticket was purchased at Downtown Cigar Shop on Ouellette Avenue in Windsor.